I took Easter Monday off from work, which was lovely for many reasons, among them that I got the early crops planted. I put in peas (Garden Knight and Telephone from Seeds of Italy), fava beans, arugula, broccoli rabe, a Japanese mustard green that I don’t have the packet in front of me and can’t remember the name, beets (chiogga and early wonder) and chard. And then it snowed all week. Nice wet spring snow, which was good for all those little seeds, but which did leave one wondering if winter is ever going to end. 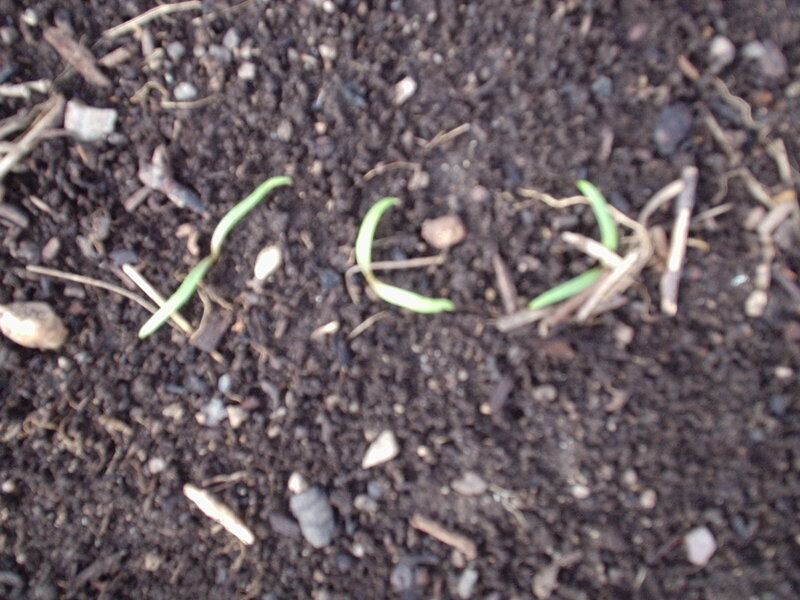 Despite the snow, the spinach seedlings are poking their little heads above the dirt, as are the radishes, and I might have seen an arugula seedling out there this morning.